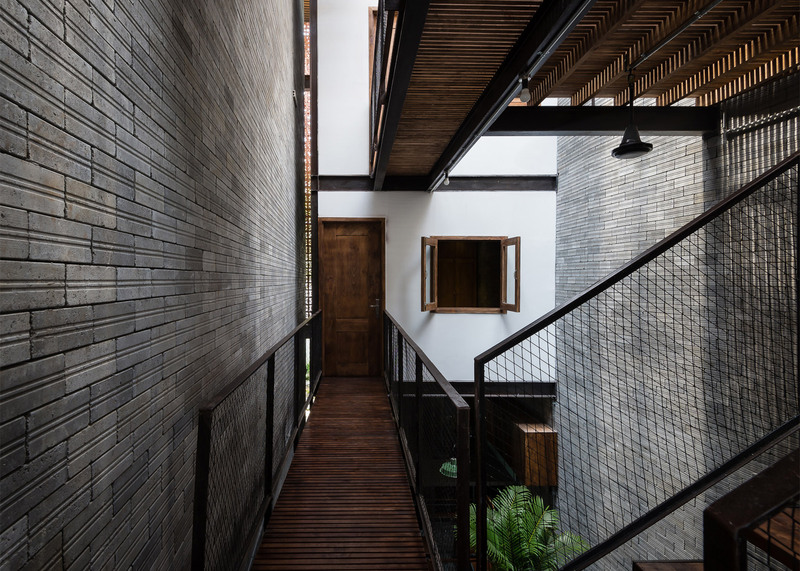 Vietnamese studio HA has completed a monastery-inspired home for a Buddhist family, featuring concrete-brick walls that are animated by patterns of light and shadow (+ slideshow). 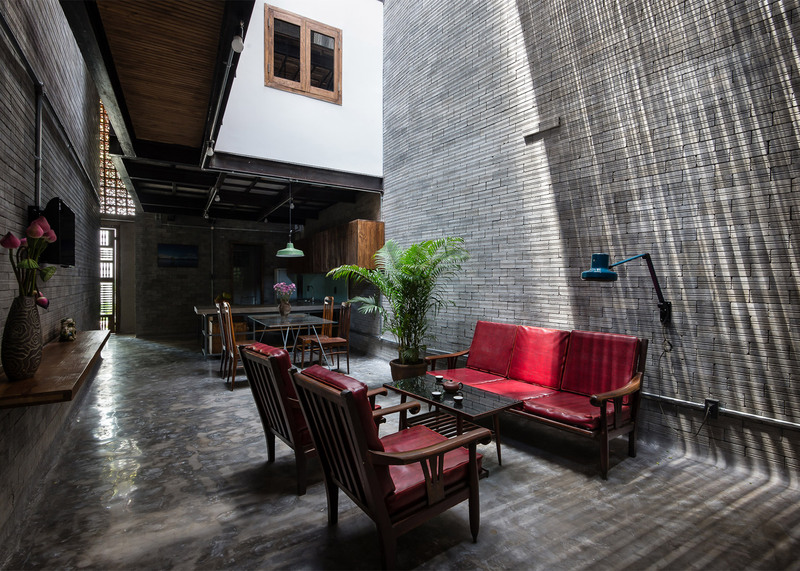 Named Zen House, the four-storey property is sandwiched into a narrow plot in the Binh Thanh district of Ho Chi Minh City. 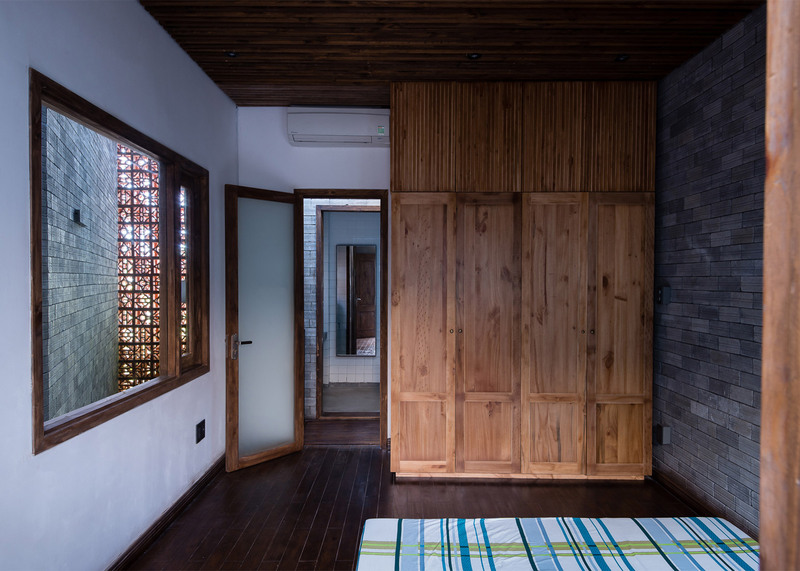 HA envisioned the building as a quiet sanctuary, offering its three occupants respite from the crowded city streets. 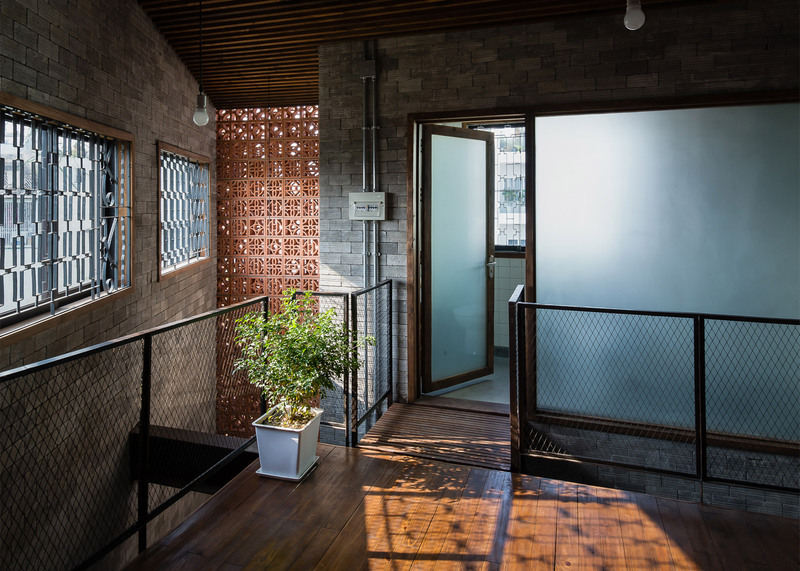 "The owners are all Buddhists looking forward to having a place of peace and tranquility, completely free from the hustle and bustle of the city," explained the HA team, who are based nearby. "This is not simply a house, it is a monastery," they added, "a place where there is no limit in work, where you can either travel or stand in one place." The 78-square-metre building is planned around a central atrium, located beneath a glass ceiling flanked by wooden louvres. This allows light to reach rooms on all four floors, even though there are very few external windows. 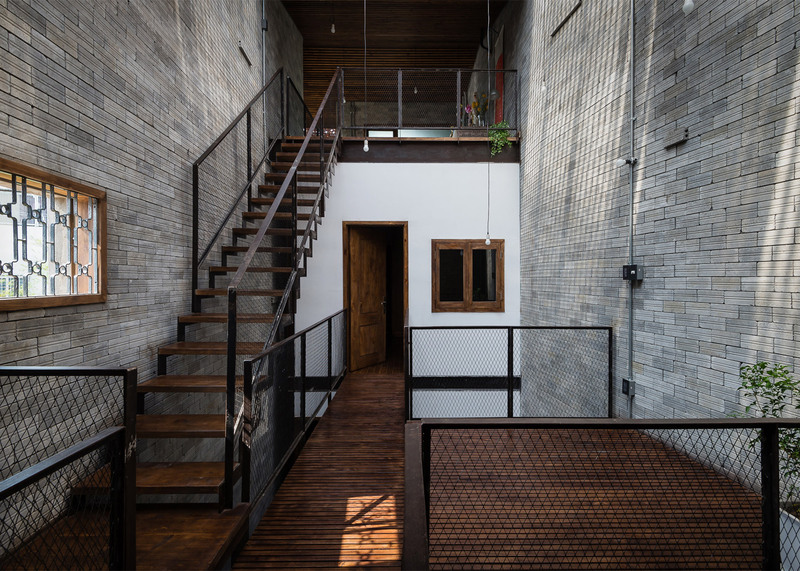 The architects chose to use concrete blocks to build the majority of the house's walls, and this material is left exposed throughout the interior. As light filters down from above, it creates shadow patterns across these walls. "The light of the day changes constantly; this gives the building vitality," said the team. "The light and shadow make spiritual feelings, peaceful and pure nature." Because of the atrium layout, it made sense for the ground floor to accommodate the family living spaces. The kitchen is at the front, where the ceiling is lower, while the dining space and lounge are both located beneath the skylight. 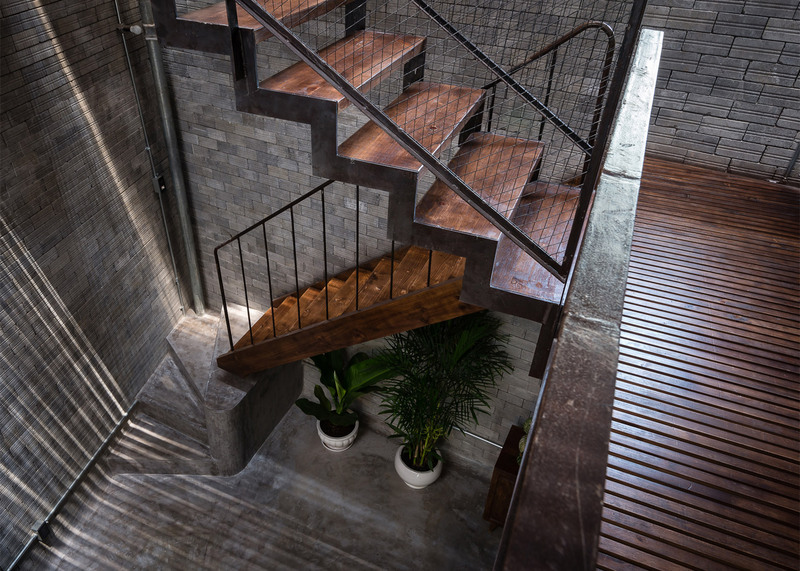 At the rear of the space, a steel-framed staircase leads up to the two bedroom floors, then up again to a room for worship. Both staircases and corridors are enclosed by see-through balustrades, offering plenty of views between floors. The volume containing the bedrooms and bathrooms is designed to look like a house of its own, suspended in space. 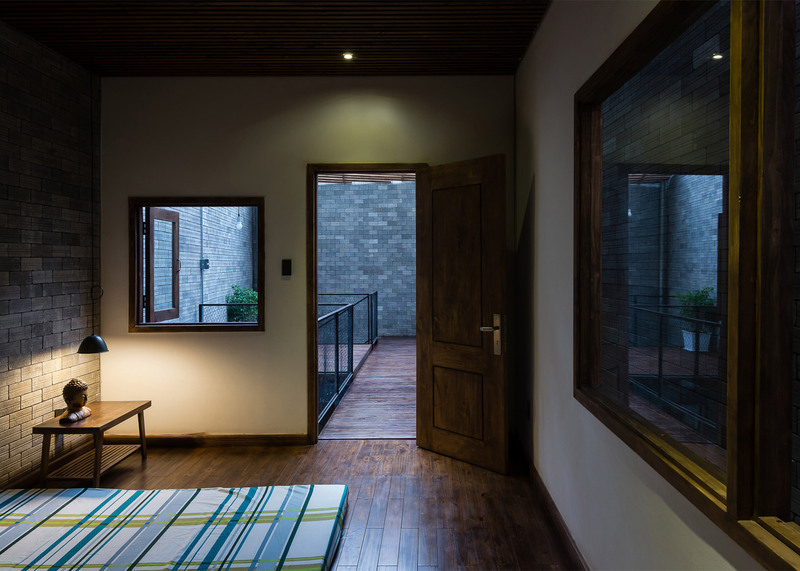 It is punctured by windows, allowing residents to adjust levels of privacy and light. The architects describe their material palette as "natural and rustic", using raw materials like bare wood, plain white tiles and concrete. Some of the more decorative details include a wall of perforated clay blocks above the entrance, and geometric metal screens across the windows. There are also bathroom sinks made out of large rocks. "Everything is definitely in the way it is, staying with nature," added the designers. 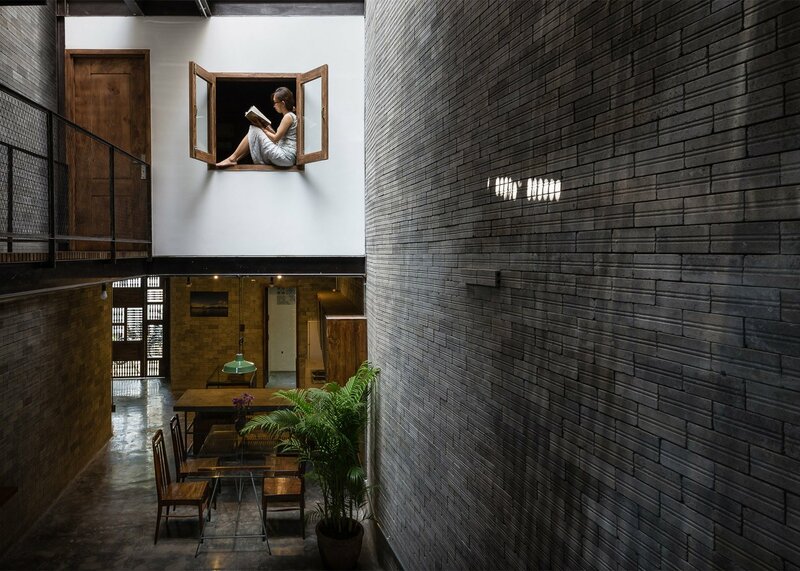 Zen House is typical of the narrow "tube houses" that feature in many Vietnamese cities. Other recent examples of the typology include a former house converted into a cultural venue clad with colourful window shutters, and a three-metre-wide house featuring house-shaped rooms connected by staircases and bridges.